Erica and I will be performing two minutes on the question “What are you waiting for?” at this innovative speaking series. Tickets are just $10. Erica and I will be performing a piece called “The Lost Kiss” in and amongst the crowd at THAW, the Links Hall Annual Benefit Party. The piece has no set performance time—you’ll see us throughout the evening. Tickets start at $40. I'm going to be the guest co-host on Talking Seriously (the alter-ego of Talkin' Funny) with my good friend Paul Luikart. You can view my appearance on the Talkin' Funny website. I'll be part of Noah Ginex Puppet Company's piece "The Keyboard. Much more than a Space Bar." at the Nasty, Brutish, and Short Puppet Cabaret. Seven other groups will be performing a variety of styles of puppetry. Lola Balatro is having a CD release party for their new album at Goose Island Wrigleyville, 3535 N. Clark, Chicago. Ten dollars. They'll be playing the video for the first single from the album, "Rock Star", which features me in a banana suit. It's my birthday and I'm having a party! Friday, Feb 6, 2009*. 7 pm til late. There will be (good) pizza and beer and wine and Malört and whatever other drinks we dig out of the liquor cabinet. And pie. And maybe we'll play some board games or I'll make everyone draw a cartoon of me or something weird like that. Or you can just swing in and tell me how awesome I am. We have two cats, so if you're allergic stock up on the Claritin (tm). It's at our house, way up in the frozen north. I love all of you out on the internet, but, um, yeah, I'm not putting my address here. Shoot me an email if you can't remember where I live. P.S. It's an open invite, so if you're talking to someone and say "Are you going to Fuzzy's party?" and they'll all like "What party?" and you're like "Awk-werd." you can just say "oh, you must not have read that blog post -- you're totally invited." and they'll say "Awesome!" * I know some people care -- my actual birthday is Tuesday, February 3. I'll be the on-stage stage hand for the Belmont Burlesque Revue (at the Playground, 3209 N Halsted, Chicago). Watch me dancing in a banana costume, along with BT and MLE, on Chicago's finest cable access children's dance show, Chic-a-go-go, on Chicago's cable access channel, CAN 19. This show features performances by Airiel and Scale Model. Watch me dancing in a banana costume on Chicago's finest cable access children's dance show, Chic-a-go-go, on Chicago's cable access channel, CAN 19. This show also features a performance by FuzzyCo friends JC Brooks and the Uptown Sound as well as Catfish Haven. Blewt! is taking its show Don't Spit the Water! to the Comedy Central Stage in Los Angeles for a performance on May 28th. To help raise money for our trip, we're holding a karaoke party at Trader Todd's. Your favorite comics and characters from Don't Spit the Water! will be joining the fun with karaoke performances, and, of course, you'll be welcome to pick up the mic and sing a song or two! Your admission of $40 gets you unlimited drinks and appetizers from 8pm to 10pm. Half of that money goes directly toward the cost of sending 7 actors out to Los Angeles to perform fart jokes for strangers. Purchase your tickets now to get on the guest list for this exciting event! All admissions come with a FREE ticket to a future performance of Don't Spit the Water and a lifetime of gratitude from the Blewt! family. I'll be appearing on The Callback Show, a one-hour interview and information based radio show, centering on the art, craft, and business of Chicago Theater. The show is taped in front of a live audience at Strawdog Theatre Company's Hugen Hall (3829 N Broadway, Chicago) for later broadcast and podcast. The topic of this week's show is "day jobs". The show is free, the bar opens at 7pm and the show begins at 8pm. 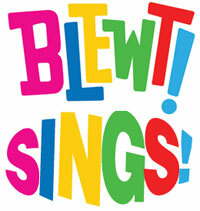 Blewt! is having its holiday party at The Holiday Club (4000 N. Sheridan) and you're all invited! Swing on by the bar at 8pm. We'll be there all night, hanging out and being stupid. Whoopy! I'll be MCing the Camenae Monomaniacal Monologue Writing Contest. Playwrights compete head to head for cash prizes! Eight actors (including Erica) will perform original monologues written specifically for them. Four "celebrity" judges will vote, and one playwright will be crowned Monomaniac. Please join me for drinking and conviviality to celebrate my birthday at the Twisted Spoke (3369 N Clark) around midnight. This page contains an archive of all of Fuzzy Gerdes' performances in the Other category. They are listed from newest to oldest. Improv is the previous category. Stand-up is the next category.